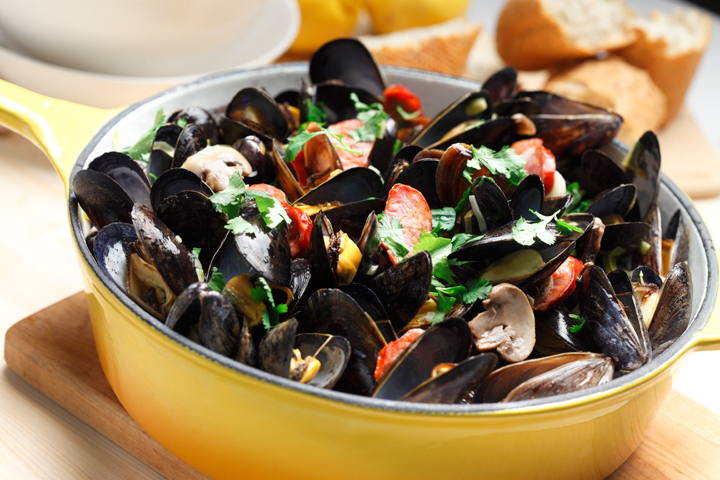 A simple, delicious and easy mussel recipe is a great addition to your recipe repoirtere. It's wonderful for lunch, dinner or can be a shared appertizer. 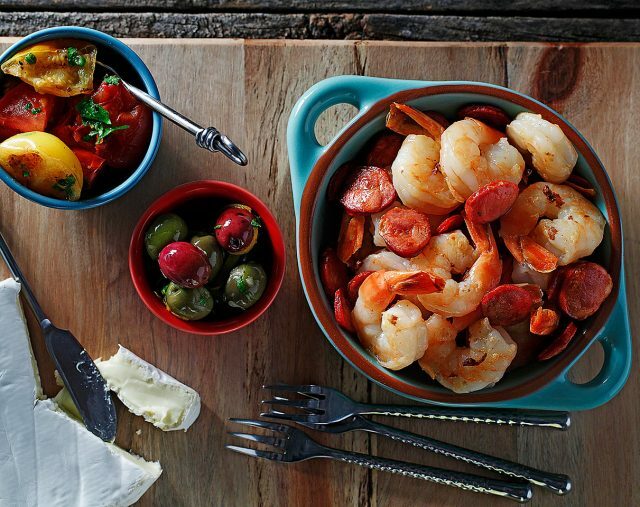 The flavour combinations of the spicy chorizo and earthy mushrooms all simmered with the a nice white wine brings the flavours wonderfully together. Serve the mussels with a great crusty bread for dipping up all the wonderful sauce. In a large stockpot over medium heat, add canola oil. Bring to temperature. Add chorizo sausage and sauté for 5 minutes. Add leeks; cook, stirring occasionally, until soft, about 2 minutes. Add garlic, mushrooms and red-pepper flakes; cook, stirring occasionally, 3 minutes. Add mussels and wine. Cover and bring to boil. Cook for 5-8 minutes until all the mussels are opened. Gently stir occasionally. Discard any that do not open. Remove lid, squeeze fresh lemon juice and sprinkle cilantro on top. Pour mussels and sauce into a large serving bowl. Serve warm.